School gardens are a built environment strategy that has been linked to many positive outcomes including healthy eating behavior, academic achievement, environmental stewardship, and civic responsibility. The effects of creating natural environments in schools, especially in NYC’s urban setting, can also have lasting effects on a child’s connection to the environment. With all the potential benefits of school gardens, GrowNYC’s City-wide School Garden Initiative is working to actualize those benefits. The School Garden Initiative works in over 300 New York City public schools and is interested in leveraging the potential of school gardens to promote student outcomes, especially for underserved communities. With funding from the Doris Duke Charitable Foundation, HealthxDesign has been commissioned to conduct a 3 year outcome evaluation for GrowNYC’s Citywide School Garden Initiative. 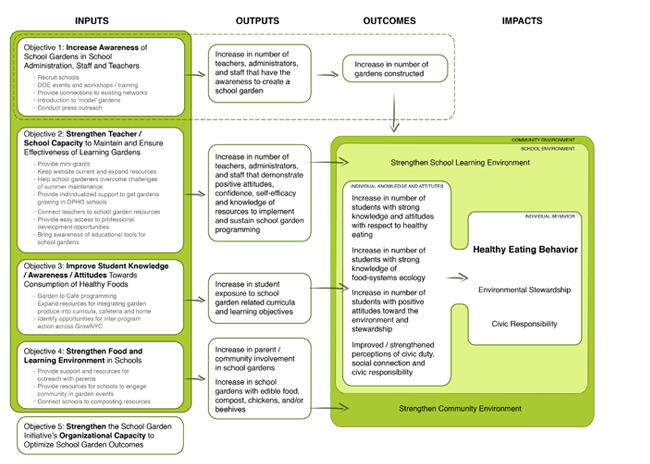 What types of student outcomes in the School Garden Initiative able to advance? 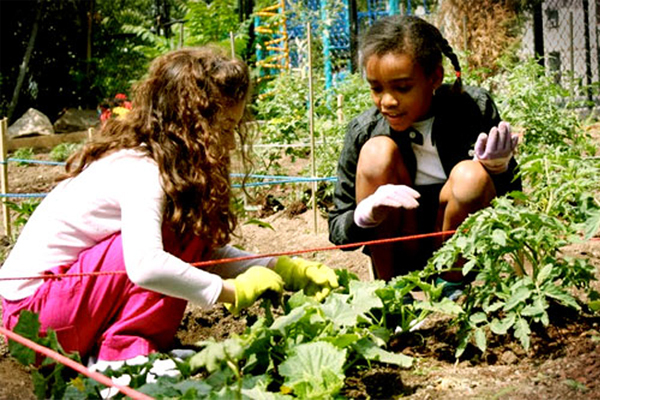 How can the data from this study be used to strengthen the potential of school garden to advance student outcomes, in New York City and beyond?